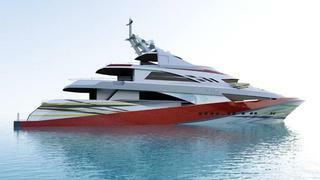 Finally, the much-delayed 49.9m motor yacht JoyMe is set to be delivered to her owner this weekend. Built by Philip Zepter Yachts in Croatia in steel and aluminium to Bureau Veritas class, she has exterior styling and an interior design by Standby Studio, headed by Marjana Radovic. Accommodation is for 12 guests in two master suites and four double staterooms plus quarters for 12 crew. Twin Cummins KTA-38-MI engines give JoyMe a cruising speed of 14 knots and a range of 4,000 nautical miles at 12 knots.